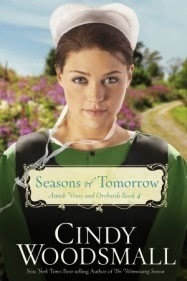 This is the fourth and final book in the Amish Vines and Orchards series. The first three are on my to-read list, but since I had the opportunity to read and review this one, I just started with it. At the beginning there is a synopsis of each of the previous books with pertinent information to help readers understand the relationships and events in this book, which I definitely appreciated... but it also contains spoilers, so if you plan on reading all the books, I'd recommend reading them in order. The novel is told from several characters' points of view, so there are many themes and story lines to follow. The author weaves them in and around each other seamlessly, and they complement and tie together wonderfully. 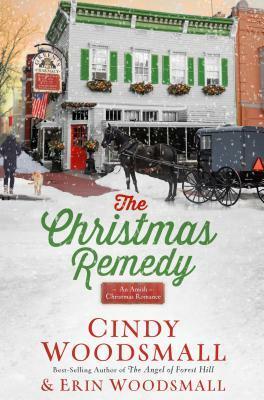 There is such richness and fullness to her writing- the characters are thoughtful and contemplative with their hopes and struggles, and there is also enough drama and change going on to keep the pace moving forward. While I missed seeing Rhoda and Samuel fall in love (which happens in book three I believe), it was just as sweet to experience their courtship. Jacob's story was probably my favorite, since he was working on overcoming anger, accepting, and forgiving. The friendship he develops with Esther is unique and special, and their banter is enjoyable. Seasons of Tomorrow is a fabulously well-written book, but I would recommend reading the whole series to get the fullest satisfaction of this saga.